Do you want to enhance the entertainment quotient at home? Nowadays, the television has become secondary with the rising popularity of the web series. So, people look for other kinds of entertainment. It is not always possible to catch a movie in the theaters. So, why not get the same experience at home? Now you can get a movie theater-like experience right in your living room with the highly advanced home theater systems. We, at Dynamark Security Centers, can be an ultimate solution to a smarter home with our advanced and upgraded technology enabling us to provide you with essential security systems, CCTV and surveillance equipment, access control, fire alarms, home automation, and home theater system. We are an experienced and reputed company known for our honest and clear communication. So, if you live in and around areas like Alice TX, Corpus Christi, McAllen, Port Aransas, Portland TX, or Rockport TX, you can resort to us without any hesitation. 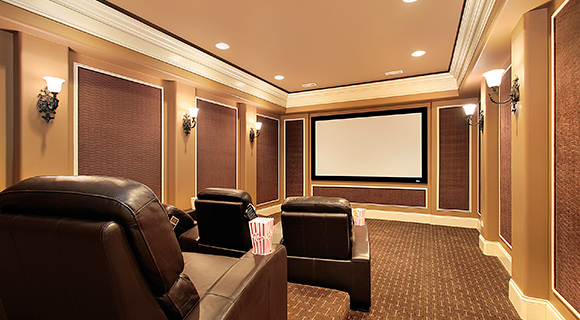 Here, we have put together a few questions you must ask the company providing you with home theaters. Take a look. What kinds of features can you provide? Before you go ahead and purchase the home theater, you should ask about the features that are there in the system. Check the audio-visual quality and other viewing modes which will further enhance your experience. Do you also provide installation service? Simply purchasing the home theater system will not help. You also need to install it correctly if you want to get an enhanced experience. So, ask the company if they can carry out the installation too. Or else, it will be an additional hassle to look for a company which will install your system. How much do you charge for the home theaters? Lastly, you must make sure that the system is within your budget. So, you have to ask the company if they can provide you with an estimate so that you can compare the rates in the market and make a well-informed choice. So, what are you thinking? If after asking such questions, you are thinking of choosing us, then quickly get in touch with us.